Tourlaville is a village 5 kilometres east of Cherbourg, on the N.801 road to St. Pierre-Eglise and Barfleur. 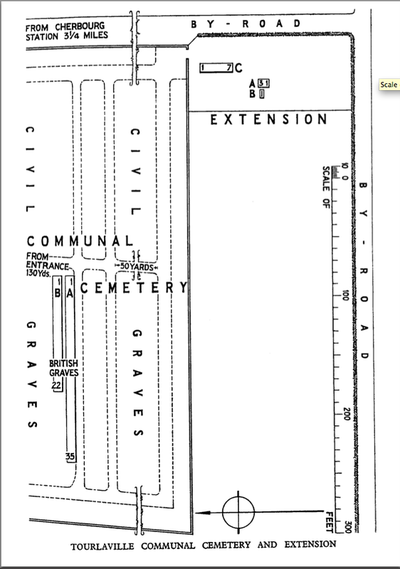 The Communal Cemetery is on the south-eastern side of the village some 364 metres south of the N.801 road. From Bayeux, turn right at the roundabout in Cherbourg. 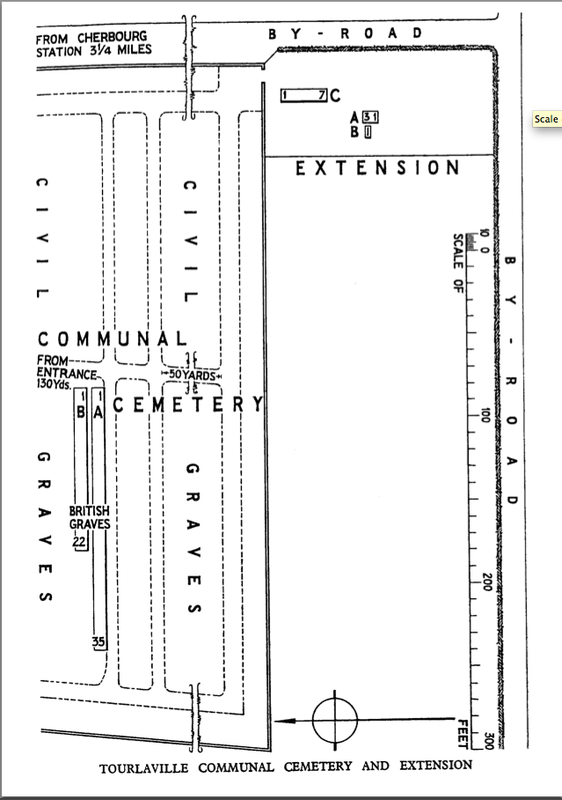 Pass the traffic lights and the cemetery will be found on the left at the top of the hill. The Commonwealth plot is approximately 120 metres south of the entrance, on the west side of the path. 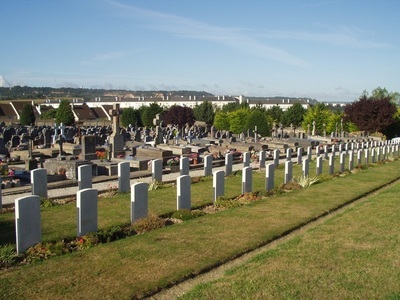 The majority of the burials in the Communal Cemetery date from December 1917 to January 1919, when it was used by Allied Hospitals. Tourlaville was No.1 Rest Camp and Cherbourg became the Portuguese Base in 1919. 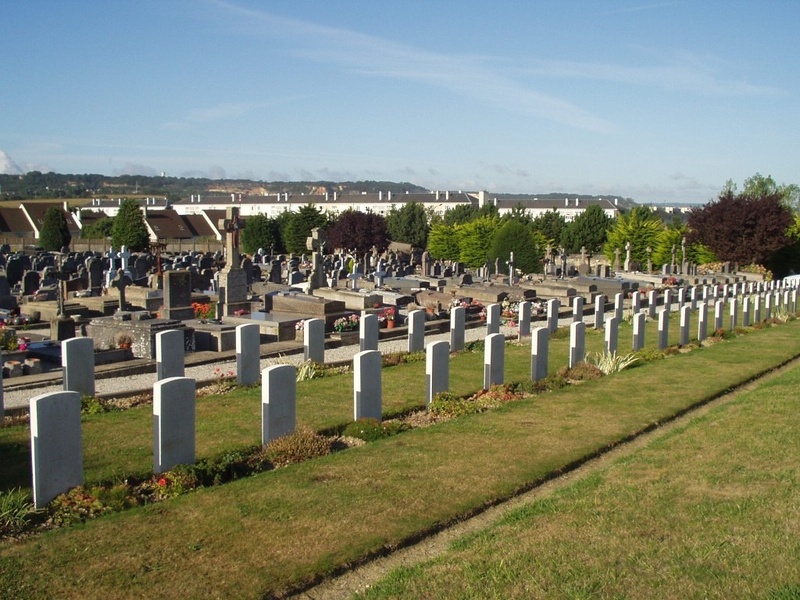 There are 68 Commonwealth burials of the 1914-1918 war and 2 of the 1939-45 war, commemorated in this site. There are 2 German Foreign National burials.